You probably think a lot about whether the food you eat is safe. 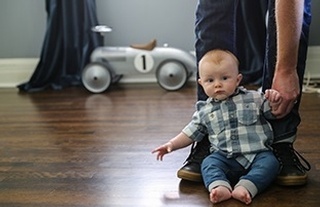 But how safe is the flooring surface in your home? When it comes to flooring, the U.S. Environmental Protection Agency (EPA) finds that hardwood floors improve indoor air quality. They don’t harbor microorganisms, allergens, or pesticides that can be tracked in from outdoors. 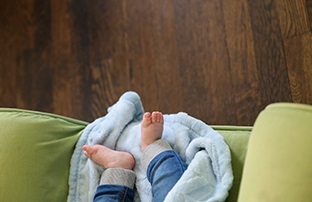 Hardwood floors also minimize the accumulation of dust, mold and animal dander which makes wood floors a healthy option for your little one’s first steps and beyond. Allergens can exist everywhere. Some are more common outdoors, like pollen and mold spores, while others are more common indoors, like dust mites and animal dander. All allergen sources, however, can be present anywhere at any time. And because the impact of air-borne allergy-related illnesses can be staggering – up to $17.5 billion in health care costs and more than 6 million work and school days lost each year – it makes sense to prevent and minimize allergy triggers whenever possible. While outdoor allergens can be hard to control, there are ways to minimize the impact of allergens that occur indoors. Frequent dusting, vacuuming, and washing will minimize many indoor allergens, but these activities can stir them up as well. One way to prevent allergens altogether is to eliminate many of the areas where they can gather. Flooring is one area of the indoor environment where the number of indoor allergens can be controlled. 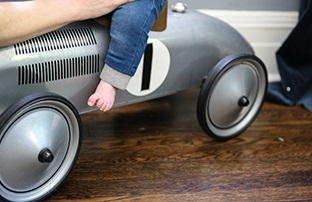 Certain types of flooring, such as carpet, are simply better gathering places for allergens. Small microorganisms, pollen, dust, dust mites, mold, animal dander, and other substances tend to accumulate in carpet fibers. Other flooring types, such as wood, tend to minimize the accumulation of allergens because there are no fibers to trap these substances. Taking steps to minimize these kinds of allergens can result in improved indoor air quality.